There have been “remarkable successes” for the recovering North Sea this year, but to assume the work is over would be a “mistake”, according to the chief executive of Oil & Gas UK (OGUK). This year has been one of the most positive in recent memory for the basin, making a nurtured resurgence from one of the most severe downturns in its history. Twelve projects (at time of writing) have reached final investment decisions, bringing around £3.2 billion into the region and the promise of new work. Deirdre Michie expects this, coupled with efficiencies in technology and improved ways of working, means 2018 will close in “a much more positive way” than recent years. But the sector must “stay the course” if it hopes to continue this recovery, and becoming complacent would mean “all bets are off”. Ms Michie said: “We have seen remarkable successes over the last year. “We have improved our position, our fiscal terms remain very competitive, our efficiency is up and so as an industry we are much more competitive and we’re attracting investment as a result. “I would hope that we will continue to see it move forward positively, but it is not a given. “It has to be a nurtured recovery. We have to be really thoughtful and we can’t assume it is a done deal. “It would be a mistake to assume we’ve done everything. The ‘stay the course’ phrase is absolutely key. “We have to keep driving the focus on efficiency, keep driving it on cost reduction, sustain the competitive investment conditions that we’ve put in place, and then we will continue on this trajectory. 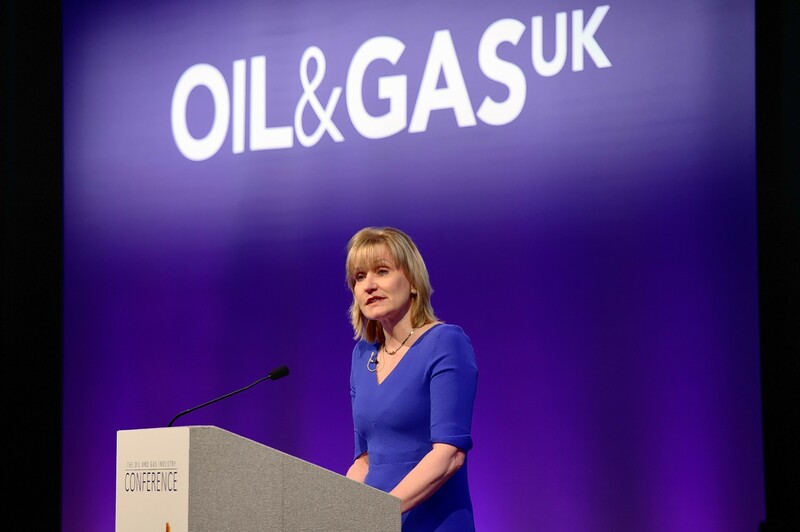 Although the sector is undoubtedly seeing a general recovery, exploration remains low and the supply chain still struggles, according to Ms Michie, who said the industry remains at a “crossroads”. Exploration drilling is at an all-time low and development drilling is similarly impacted. However, with better ways of working in place, and appropriate support from the government and regulator, there could be better outcomes in the new year, according to Ms Michie. “I think all those parts will come to something, but it will take time,” she said. “The downturn that we’ve been through also took a lot of time. I think as we go forward we should all see that come together in a more positive way than we’ve seen before. “So, it is about staying the course, in terms of where we are and the focus we’ve given to our various activities. Although the supply chain is still feeling the impact of the downturn, OGUK recently said it expects a surge in demand for these companies. The recent spate of FIDs for the sector means more activity, according to Ms Michie, who said the way operators work with the supply chain is improving. She said: “People can start to see there is more activity that will result from this. “I think the examples of the projects we’ve seen approved are examples of where the supply chain has worked well with the operators and as a result have helped to unlock the projects and therefore activity. “I think we need to see more of that and a bit more urgency. “I also believe that – and I’ve said this before – costs will have to go up because some margins are unsustainable. “But I think they have to be offset by the efficiencies, because what we can’t see a return to is the boom and bust. Maintaining the fiscal regime is crucial to “staying the course”, according to Ms Michie. The industry leader welcomed the recent budget from the Chancellor that confirmed there would be no change on this front. Brief as it was on oil and gas discussion, there was one section that will have a relatively large effect on the industry’s contracting community. IR35 legislation will apply to the private sector in April 2020, aiming to stop employees from “disguising” themselves as freelance contractors in order to pay less tax. Hiring companies will have the responsibility of checking whether it applies to them. The North Sea energy sector is thought to be among the industries that will be most drastically affected, although it was expected the rules would come into play in some form following the budget. Ms Michie said the industry is pleased it has some time to prepare itself. “The good thing is there is time to prepare for it,” she said. “I think the concern was that something might shift overnight. “I think the fact is that people can prepare and that is the positive thing that came out of the budget in relation to that. One looming question mark for the new year is Brexit. Some view the process of leaving the EU as an opportunity, while others consider it a serious challenge, particularly in relation to access to skilled workers and services. Ms Michie said, for OGUK, it has to be viewed from both perspectives. “I think we see it as a challenge and an opportunity – you have to look at it in those ways,” she said. “We’ve always been very clear with government and stakeholders that, yes we’re a global industry, but we also have this massive supply chain that needs to be thought of in the same way you would think of for automotive or aerospace. No matter the outcome of leaving the EU, the UK oil and gas sector intends to continue along the path of its Vision 2035, intended to generate £290bn of extra revenue from the North Sea. The vision is aimed at maximising recovery from the region and greatly increasing the UK supply chain’s share of international work. Ms Michie expects the sector deal, currently being negotiated with the UK Government, will help meet those goals. “I think the timing is right for really pushing Vision 2035,” she said. “When you’re in the middle of a downturn, that’s a struggle because people are focused on surviving, not on what’s going to happen in Vision 2035. “We’re very much looking to drive the focus on it and also come out with a road map in 2019 of just how it can be achieved. Exports will be one aspect of it, skills will be another part of it. Then in terms of maximising economic recovery, that’s obviously the work we do with the OGA. Another piece of the puzzle is the industry workforce, in terms of its skills for the future and how the next generation of workers is made up. Going into the energy transition, Ms Michie does not see the low-carbon agenda as a conflict for oil and gas, which is still expected to remain a key part of the UK’s energy mix into the 2040s. She sees opportunities for workers to transfer knowledge with other industries such as renewables. “I don’t think there is competition,” she said. “There are areas that we can align, for example in skills. We’re already working with colleagues in other organisations to see what we can do with skills transferability. Another point of improvement for the workforce is diversity. Despite a series of events and headlines this year highlighting the need for a more diverse workforce, which is not just limited to gender, statistics this year from OGUK, Engineering UK and Scottish Enterprise, to name a few, show there is more work to do. The trade body’s recent workforce report showed only 3% of offshore workers are female, and just 23% of the overall industry. Ms Michie said having a more diverse workforce can enhance the sector going forward. “There is an awful lot that’s already happening, including companies working with schools in attracting girls and boys in STEM,” she said. “That’s the starting out piece. Once you get people into the industry, you tend to lose them in middle management for other opportunities or going to have children, for example – we need to address that gap. “The other area we want to look at is men as change agents because this isn’t just a woman’s thing. It has to be an integrated approach and seeing how we can encourage men in taking a role in helping change the agenda.